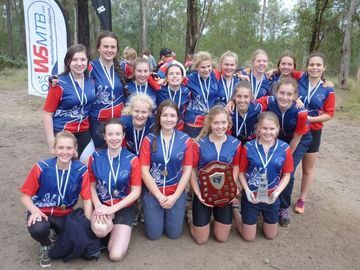 Sydney Bike Skills coached Pymble Ladies' College Mountain Bike Team to a first place podium finish at the recent Jetblack NSW All-Schools Cross Country Mountain Bike Championship at Yellomundee. This is the second year in a row that the girls have dominated the competition. The girls won all three divisions, Junior, Intermediate and Senior. As a result, Pymble LC were named Champion School in 2013 and 2014. This means that not only did they win the girls point score, but they also topped the boys point score as well. A great achievement ! !